In this article we are working with MySQL database management as MySQL very reliable and we can easily use it with the server side or client/server architecture model. JSP is the Server side programming language and it is very much useful and standardized than other languages. So this language is used for database programming system logic. Generally we use this JSP program through ODBC connection procedure. When we are working with it, we must use any database system like MS-Access, Oracle, SQL Server, and MySQL. The MySQL is a leading open source RDBMS. MySQL is also a multi-user, multithreaded database management system. MySQL is especially popular on the web based server programming model. As it is free database server no license key is required for the server based programming model. So we can easily accept it in our project model diagram. This server is now used more over the software based programming model. MS Access does not support Client Server Architecture. Oracle is very expensive than other software. SQL Server is Microsoft platform. But MySQL is free software and it also supports Client Server Architecture model. Checking, the status of the server. Type two passwords. One for the sudo command and one for the mysqladmin command. Store it in the hard drive. Right click on the project libraries. This file automatically stored in our libraries folder. The Following figure shows that process to connect with JSP Project in Net beans. In this article we will develop with creating an empty database. This Program model consists of two jsp files. One is called index.jsp and validation.jsp. The validation.jsp creates a new database or reports an error in validation.jsp file. Through this program model index.jsp page connects to a server and creates a course database. If we are refreshing the page again then we get an error message and we see that validation.jsp page is encumbered. MYSQL cannot support creating two databases with a same name. If an Exception occurs in page, the server loads a validation.jsp page. Here we declare a Statement, Connection and a URL to connect. The URL (connection)is having a protocol, host and a port number. The default MySQL port number is 3306. Now we have to register a MySQL JDBC driver in our database project. We get a connection to the database for user root with “mrbool” password. Through this process we can access the account on MySQL. After getting the statement object, we will execute the statement. At the end of the program we close the connection. This is our validation page. This is for enabling an exception object for a page. Now we show the validation message. This is the procedure to check it from the mysql command line tool when the database was created in the server. In the following example we will be adding and deleting the items. We create a course table first. The table will have five columns. The fields are id, cname, duration of the course, amount of the course. Now we see that the table which looks likes as using the MySQL command line tools. The style.css file defines the style of our application and it also defines the look and feel of input boxes, buttons, tables and anchors. It also generates a navigation toolbar for our project. The index.jsp file is used to add new course into the database. In the form we input data and submit it. In that we are describing the methods for inserting data to the database, deleting data and getting all data from the table. Now we use prepared statements. These are parameterized SQL(Structure Query Language) statements. There are two most important explanations to use parameterized statements. The statement helps us securing the code against the SQL(Structure Query Language) injections and easier coding due to difficulties with double and single quotes. It is the example of edit, delete and searching record procedure through JSP and MySQL Program. MySQL is very dedicated database management system that supports to develop a good server side system and this server side system gives a good backup of data. Java Server page is also a standard and high security provided application software. Through this software we generate different types of project and that project is built-up with very reliable procedure. 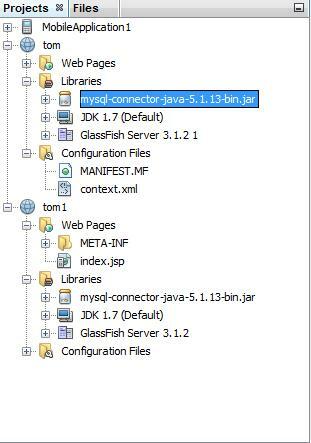 MySQL is no doubt a reliable system for Java Server Page.